Albertina specialises in relationship and psychosexual therapy. She qualified in psychodynamic couple and individual counselling and psychosexual therapy with the world-renowned Tavistock Centre for Couple Relationships (now Tavistock Relationships) in London. Albertina helps individuals and couples with relationship issues and sexual concerns. She has particular skills in counselling couples in distress, who have reached a crisis point in their relationship, who feel stuck, who are considering separating or are going through a separation, who have sexual difficulties or who want to make things better in their relationship. For many people, going to counselling can be a daunting prospect, and even more so if you are considering coming as a couple. You may worry that the counsellor will take sides, that you will not be understood, or that your partner will misrepresent you. As a trained and experienced couples counsellor, Albertina understands your concerns. She will be able to provide a supportive, neutral environment in which it becomes possible to think and communicate in ways you may find it difficult to do on your own. 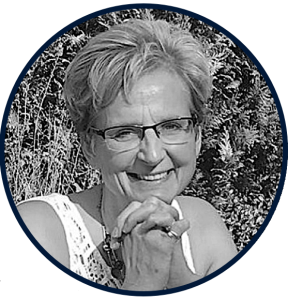 Albertina is a warm, supportive and insightful therapist who will gently challenge you to reach a deeper understanding of yourself and your relationship and will support you to take more responsibility for your happiness. Albertina completed her postgraduate qualifications in Professional Studies (Counselling) at the University of Leicester and in Couple and Individual Psychodynamic Counselling and Psychotherapy at Tavistock Relationships, London as well as an MSc in Psychosexual Therapy at Tavistock Relationships awarded by the University of East London. Albertina also has an MSc in Career Management and Counselling from Birkbeck College, University of London. Albertina is a registered member of the British Association for Counselling and Psychotherapy (BACP) and the College of Sexual and Relationship Therapists (COSRT).